Advertisement for the position of Post. Doctoral Fellow. Applications are invited from motivated and eligible candidate for the post of Post. 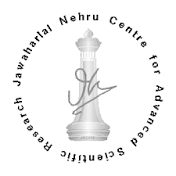 Doctoral Fellow in the HIV-AIDS laboratory, Molecular Biology and Genetics Unit, JNCASR, Bangalore, Karnataka. The skills that would be required for the project include: good knowledge and experience in molecular biology, animal cell culture, immunology, and viral culture. Salary: As per the Government of India norms. Duration of appointment: Minimum two years of commitment, subject to extension based on the performance. Only shortlisted candidates will be called for an interview (by phone or Skype) and no other communications in this regard will be entertained.